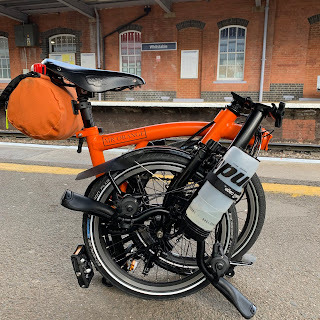 This review was one that I was kindly asked to write a few weeks ago for the great people at the, Richmond Cycling Campaign to appear on their blog. I am now placing it on my blog in all its glory. If you live and work in London you might, like me, sometimes get fed up with all the traffic jams, crowded tube trains and generally the fast pace that is living in a major city. There is however somewhere you can take the family; where you can unwind and experience nature at its very best. Somewhere you can recharge your batteries. Somewhere slap bang in the middle of London! Interested? I am talking about the, London Wetlands Centre. Located just a stones throw over the Hammersmith Bridge in Barnes, the London Wetlands Centre is a little oasis of calm and tranquillity. One of nine Wetlands Centres dotted around the country, it was the brainchild of the late artist and conservationist, Sir Peter Scott. You will find it hard to believe that you are in the middle of London! Open seven days a week, it only closes on Christmas Day. Opening times are 9:30 a.m. to 5:00 p.m. but after 27th March it stays open an hour later. The cost for my family to get in (two adults and two children) was £29.50 but we decided to transfer the cost of this to a yearly membership of £64.40, which we felt, was a bargain as we knew we would visit there again soon. We travelled to the wetlands centre on our bikes from Hammersmith Tube Station. (Me on my Orange Brompton of course). It is on the ‘Sustrans Cycle Route 4’ http://www.sustrans.org.uk/ and you can even come via the picturesque Thames towpath. At the Wetlands Centre in addition to the standard cycle racks there are fifty, very secure bike cages. We were able to put two Brompton’s and two children’s mountain bikes in one cage, along with all our helmets and fluorescent bibs. Make sure that you bring a good chain or lock though as you lock it yourself from the outside. (Just make sure that you really do this properly) We have always felt very secure in the knowledge that our bikes were perfectly safe and there is the added bonus of a huge CCTV camera pointing directly at the cages. My two daughters, both under 10 loved their visit to the Wetlands Centre. The site itself is 42 hectares, dominated by a large central lake around which are numerous paths and nocks and crannies to explore and get lost in. With so much to explore you could easily spend a whole day there. My daughters loved walking around seeing the collection of captive birds – important conservation work for rare or endangered species. While there one of the wardens fed the birds and let my daughters have a go. It is little touches like this that make a place special. The observation area is a huge glass fronted room on two levels where you can view out on to the main lake. From the top floor you can see many famous London landmarks including Battersea Power Station, Royal Albert Hall and the London Eye. The children’s playground is one of the best I have ever seen as well as being safe and secure. Zip wires, tunnels, climbing areas and the water fountains that spray up from the floor totally at random was all great fun. The pond zone allows you to have a go at pond dipping and the underwater camera, which you can control, was incredible. The restaurant which serves hot food from 11:00 a.m. to 3:00 p.m is a great way to rest tired feet. The quality of food is very high. We had a meal at lunchtime only to later come back for a cup of tea and sample some of the rather tasty cakes. While the rest of the family was at the playground I walked round with a pair of binoculars and an old bird guide. I was transported back in time and felt like an excited 9-year-old boy. While there I spotted a Bittern – an illusive brownish Heron type bird. There are many hides dotted around overlooking the main lake but Peacock Tower provides the best views. Looking out of this large two-story hide, I could hardly believe that I was in London. Peacock Tower. A great viewing area! I can wholehearted recommend the London Wetlands Centre. There really is something for everyone. We came away feeling calmer and definitely wanting to go back. The staff are friendly and very helpful, the range of activities for children (and big children like me) is great and the restaurant is one of the best we have ever been to located in an attraction. Added to this the ease in which we were able to cycle there and then safely store our bikes made the visit even more enjoyable. We will definitely go again perhaps via the Thames towpath and if you see someone locking away a bright orange Brompton, it might just be me?